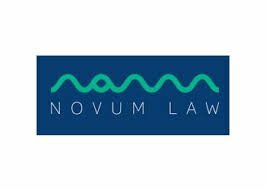 Salisbury & District Chamber of Commerce was delighted to hear of member Novum Law's recent award for their commitment to helping and supporting employees who combine work with caring for a family member; a perfect example of a local business which takes its corporate social responsibilities seriously. The Working for Carers Awards were launched last year to help local businesses to realise the benefits of supporting carers in the workforce. Novum Law, a Salisbury-based specialist personal injury law firm, received the bronze award at the Working for Carers’ first ever gala evening to celebrate the success of local Wiltshire firms. Organised by the charity Carer Support Wiltshire - which supports thousands of unpaid carers across the county - the awards have been developed to encourage companies throughout the region to future-proof their policies and safeguard the sustainability of their workforce while making life easier for working carers. Novum Law’s award is in recognition of its awareness of carers’ issues and its good working practices to help carers fulfil their responsibilities both as a carer and an employee. Neil Elliott, Partner of Novum Law in Salisbury, said: “The fact that one in nine people combine work with caring for a loved one means there are many, many employees out there struggling with the demands of their caring role and their responsibilities to their employer. “It’s vital that all employers understand what staff members who care for loved ones are going through and provide as much help and support as possible. If they don’t, they could risk losing loyal and valued members of their team.